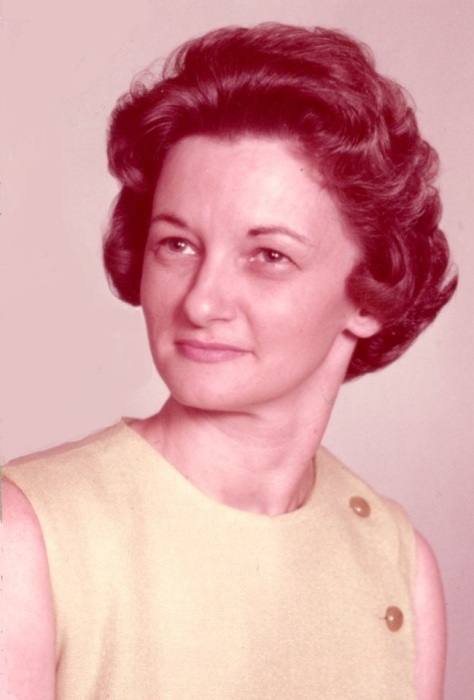 Tressia Jean Hallawell, 86, of North Vernon, passed away at 11:03 p.m. Sunday, March 17, 2019, at Columbus Regional Hospital in Columbus. Born September 5, 1932, in Jennings County, Mrs. Hallawell was the daughter of Curtis Barnes Sr. and Violet Orrell Barnes. She married Robert Hallawell on October 25, 1953, at the New Bethel Church in Jennings County. Mrs. Hallawell was a 1950 graduate of North Vernon High School and worked as the secretary to the vice-president of Contel Telephone in Seymour, retiring in 1991 after ten years, and had previously worked as secretary to the president of I.T.T. Thompson Industry in North Vernon for 22 years. She was a member of First United Methodist Church and a former member of Psi Iotes Sorority. Mrs. Hallawell enjoyed spending time with her family. Surviving with her husband Robert Hallawell, are daughters, Debra Johnson and Jo Ann Hallawell, both of North Vernon; granddaughter, Lisa (Jason) Wools of Greenwood; and great-grandchildren, Morgan Wools, Carson Wools and Keaton Wools, all of Greenwood. She was preceded in death by her parents and a brother, Curtis Barnes Jr.
A memorial service for Mrs. Hallawell will be 7:00 p.m. on Thursday, March 21, 2019, at the Dove-Sharp & Rudicel Funeral Home and Cremation Service with the Rev. Marvin Sweet officiating. Family and Friends may call at the funeral home on Thursday, March 21, 2019, from 4:00 p.m. until time of service. Private burial will be in the Vernon Cemetery.